Jonathan Strange & Mr. Norrell by Susanna Clarke is one of those books that passed by my radar, and I briefly considered reading it because I knew some people liked it…until I saw its length. 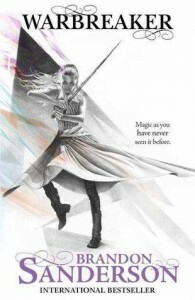 Then I walked away, thinking that this is probably one of those books that I will not read anytime soon, and I would be quite content not to read it within my lifetime since it’s too thick, and I’m not exactly a huge fantasy reader anyway. But you know what’s the most effective way for me to read a book that I never thought I’d be reading ever? Peer pressure. Or, give it to me as a gift. That is exactly what my friend Aaron did last Christmas, and I always make it a point to read the books gifted to me. The good thing is, he also gave a copy of this book to other friends in the book club, so we formed a little reading group for this last April to get us through this chunkster together. It’s not that I was really intimidated by it. After all, I finished the tome that is Les Misérables. Jonathan Strange & Mr. Norrell is like, 700 pages less than Victor Hugo’s book. This should be easy. Another thing that I can’t not mention about this book is the footnotes, and the sheer amount of them. I don’t mind footnotes — in fact, I find them quite fun when I encounter them in books. Granted, they were distracting, especially when they span pages and pages in the book, just like how it was in this book. Theyr’e not really important, but as some of my buddies said, it provided a richer reading experience of Strange and Norrell’s story. 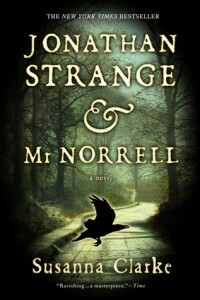 I enjoyed reading Jonathan Strange & Mr. Norrell, I really did. Perhaps my only gripe in this book is how it really dragged at some point. It wasn’t exactly boring — not as boring as say, that chapter on Parisian slang in Les Mis, or the part about the sewer — but man did they drag. The second volume was interesting, but it took a really long time before some things really started happening. I suppose, like Les Mis, it adds more texture to the story, but it can get pretty tiresome after some time. Let’s get moving, please. I have to hand it to the author, though, because when things started happening, they really started happening. Then I find that I can hardly put it down. While I wouldn’t exactly describe the last part unputdownable, the action made me want to just keep reading because I need to know how it ends. I liked how the ending wrapped up a lot of the loose ends in the first parts, but not without leaving a few more to leave the readers longing a little. Getting to the end was slightly bittersweet because I spent a lot of time in their world, and also just because of that ending. Ahoy there, look, it’s September! Lumayo Ka Nga Sa Akin by Bob Ong (1/5) – Ugh. I shouldn’t have expected much, really. Paper Cuts by Pam Pastor (2/5) – I read this and Bob Ong’s book in one weekend. Aaron had to ask me if I was torturing myself on purpose. Not that it’s bad, but it’s not my kind of book after all. More details when I sit down and review it. Noli Me Tangere by Jose Rizal (3-4/5) – Haven’t decided on the final rating. Rating it 3 seems so low because this is like THE novel that spurred the revolution against Spain in Filipino history so my Filipino heart feels that I should rate this higher. 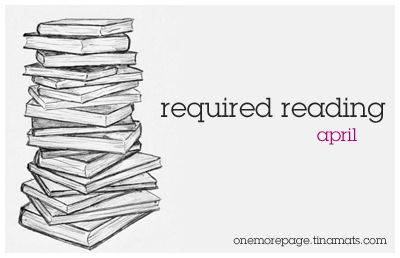 But as a reader…it’s not really that amazing. 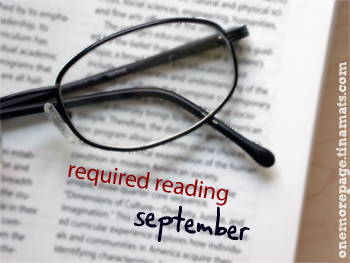 Interestingly, I think I read so many books by Filipino authors this month too! I’d like to think it’s because of the really awesome 2nd Filipino ReaderCon that drove me to get more local books. :) I still have several local books on my TBR shelf that I am pretty sure I’ll be able to read this year, and I’m quite excited about it. Maybe I’ll finally reach that 20 Filipino books goal! Now let’s move on to September!